Halve some red grapes, cut your green onions and add cashews to taste. Now I know that there are some people out there that won't like this because they will want exact amounts but live dangerously people! Create to your heart's content! Mix together all homemade dressing ingredients together until well blended and then mix in the chicken salad ingredients. 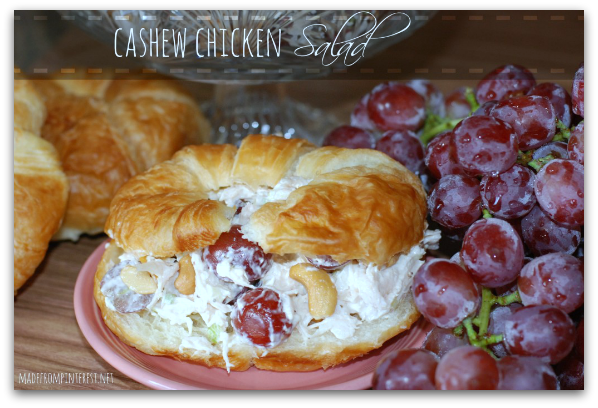 Put on croissants, rolls, lettuce leaf, or just eat straight out of the bowl.